National Sheep Association (NSA) Next Generation and the Company of Merchants of the Staple of England (the Staple) are delighted to be jointly offering the NSA Next Samuel Wharry Memorial Award for the Next Generation in the form of £2,750 travel bursaries to support two young people (under the age of 35) in a study trip to explore the application of science in sheep production. Samuel Wharry of Carnlough, County Antrim, was NSA Chairman when he died suddenly in May 2017, aged just 56. As an advocate of science and technology, particularly relating to genetics, these bursaries are given in Samuel’s memory to ensure his enthusiasm, curiosity and practical nature live on. NSA Next Generation and the Staple are looking for two individuals involved in the UK sheep sector or ancillary industries to receive £2,750 each to design separate trips suited to their own situation, to travel and learn and then share their findings via various presentations and a short written report. Whether your ambition is to visit countries within Europe or production systems on the other side of the world, the bursary will provide an opportunity to view and be part of exciting enterprises, bringing practical messages back home for the benefit of your own career/business and the wider UK sheep sector. Applications open until midnight on Monday 22nd April 2019 for anyone aged 21-34 (date of birth that falls between 22/04/1985 and 22/04/1998 inclusive). Shortlisted applicants will be notified before Friday 26th April and interviewed by an industry panel on Monday 29th April 2019, by phone, Facetime, Skype or WhatsApp video call. Two bursaries offered within 48 hours of the interviews, with the two lucky recipients asked to sign an agreement with NSA and the Staple and to attend a preparation day* in May 2019. Recipients to also be invited to Staple dinner in London in early October 2019). Trip to be planned and completed by Tuesday 31st March 2020. Verbal report to be delivered twice – once in late April 2020 (at Staple dinner in York) and in early May (at NSA board meeting in Worcestershire). 3,000-word report and photographs to be submitted by mid-May 2020, for wider circulation by NSA and the Staple and for a summary to appear in the June/July edition of Sheep Farmer magazine. 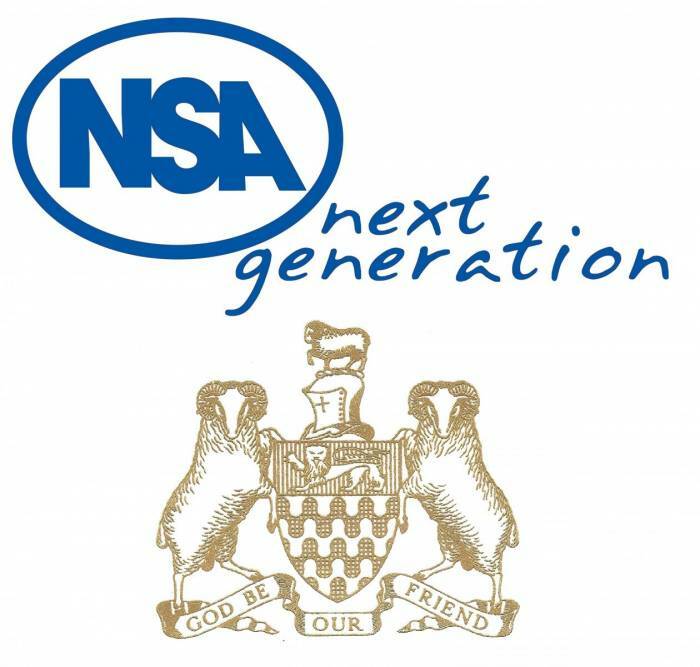 Recipients to attend NSA Sheep Event Dinner (evening of Monday 27th July 2020) and partake in NSA Next Generation workshops at NSA Sheep Event (Tuesday 28th July 2020), both at Malvern, Worcestershire. It is the intention of NSA and the Staple to make the two travel bursaries a biennial opportunity and this will be confirmed at NSA Sheep 2020. Two individuals will be selected to receive a bursary of £2,750 each, to support a trip anywhere within the world to explore the application of science in sheep production. Expenses for additional activities, such as attending various events as a bursary applicant, will be covered separately. Applicants are not required to be an NSA member, but the two selected recipients will be expected to join for a minimum term of 2019 and 2020 at their own personal cost. At the preparation day in May 2019, NSA and the Staple will draft agreements specific to the two recipients, confirming the details of the bursary, conditions of payment and the activities and conduct expected from the recipients. The bulk of the bursaries will be paid once flights etc are booked, and up to £500 held back until the written report has been submitted in May 2020. *Detail of the preparation day in May 2019 will be determined once the two recipients have been identified and a mutually suitable date and venue found. Support will be offered to help recipients deliver their verbal and written reports; the level of this will depend on the needs of the individual recipients. Applications are open to young people less than 35 years’ old who are UK residents and actively involved in the sheep sector or ancillary industries, with the exception of NSA and Staple employees and their families. NSA Next Generation, supporting the future of the sheep industry through young people. NSA believes the UK sheep sector needs innovative, enthusiastic and professional young people coming through in order to survive. NSA Next Generation is dedicated to encouraging and supporting the sheep farmers and service providers of the future, through a number of activities throughout the country. The programme began in July 2012 with the support of a number of companies and individuals, including Samuel Wharry, whose legacy lives on in the form of the NSA Samuel Wharry Memorial Award for the Next Generation. The Company of Merchants of the Staple of England dates back to at least 1359; there is some historical evidence that is dates back to before 1265, when groups of merchants formed an organisation to strengthen their hold on the sale and export of wool. After that date they operated in London and a number of continental towns and cities, securing a Royal Charter in 1347, which was essentially a monopoly to engage in the export trade in raw wools, woolfells and hides from England, and to supply the great woollen industry of the continent. This continued until the mid-18th Century when the monopoly fell into decline. The Company now meets three times a year, is based in York and has a diverse membership, many of whom have or had strong connections with the woollen and textile industries. Its role is now primarily charitable. Download 'top tips' for applicants: advice for young people planning to apply for a 2019/2020 travel bursary. The travel bursary is offered by NSA Next Generation and the Company of Merchants of the Staple of England. Samuel Wharry was a keen believer in the application of science in sheep production, especially around genetics. Where in the world would you like to explore sheep production?